Stakeholders Consultation of local, constituted groups and organisations by invitation. Public Consultation for all residents and business persons who live or work in Spitalfields. This group was set up by the Forum in September 2016 and has begun working on gathering new members and formulating draft proposals for public consultation regarding local parks, gardens, open spaces and tree planting. This group was set up by the Forum in May 2017 and has begun working on creating and delivering publicity material for our consultation processes. The second to be based on the input to, and conclusions drawn from, the first. Stakeholders shall be defined by the SNPF Council and Working Groups may be formed by the SNPF Council. Each Working Group shall be chaired by a Member of the SNPF Council and will include any interested member of the public who lives, works or has a strong interest in that area or aspect of the Neighbourhood. Any interested member of the public may take part in our public consultation process but the outcome of those consultations shall make clear distinction between those responses received from persons who live and/or work within our defined Neighbourhood Business Area and the responses received from those other persons who do not. This Consultation Strategy was agreed at the General Meeting of the Forum held on Monday 24th April 2017 and replaces the previous (2015) strategy. During the summer of 2014 two consultation meetings were held at the Attlee Centre to seek the views of local people about the establishment of a neighbourhood planning forum. The first meeting for around eighty local "stakeholders" was held on Monday 21st July 2014. These "stakeholders" were invited representatives of local constituted groups and organisations including representatives of residents' groups, tenants' associations, amenity societies, religious leaders, councillors, social and welfare organisations, housing associations and business leaders. The second consultation meeting on Monday 4th August 2014 was promoted to the general public through the distribution of a four-page leaflet named 'Your Future - Your Spitalfields' that was delivered to households and business premises in the area. At both the meetings there was a series of presentations on what neighbourhood planning was, what it could achieve and the process involved. The attendees were encouraged to express their views on the proposed forum constitution and the bounds of the proposed neighbourhood area where any future neighbourhood plan for Spitalfields would apply. All those in attendance were also invited to become forum members. 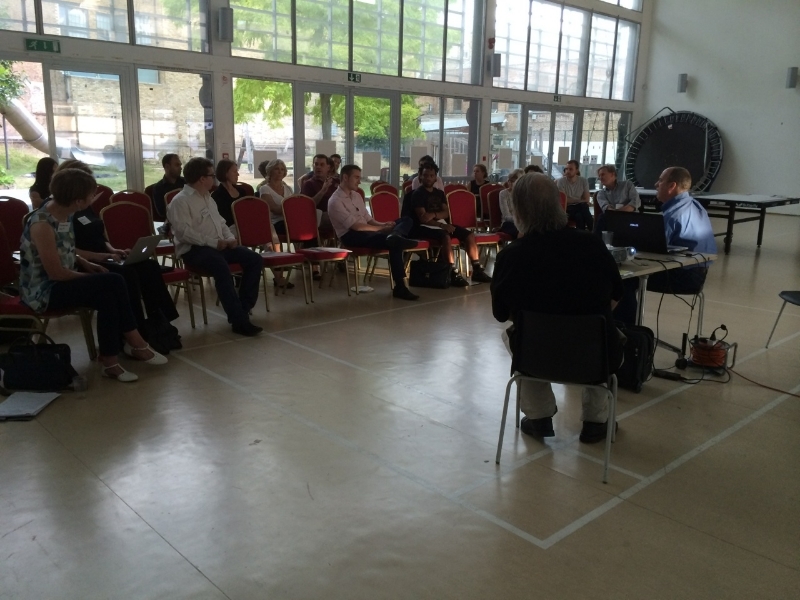 On 5th May 2015 the Spitalfields Neighbourhood Planning Forum hosted an election hustings for local people in association with the Spitalfields Historic Buildings Trust - one of our forum members. The meeting was held at the Toynbee Hall (also members of the forum!) in Spitalfields and was attended by numerous local people as well as most of the candidates standing in the General Election for the Bethnal Green & Bow constituency.